Your car or truck can be a one of a kind unique vehicle with underglow or ground effects lighting. The neon or LED aftermarket car customization spans a wide variety of styles. The lights are attached to the chassis so that they illuminate the ground underneath the car. 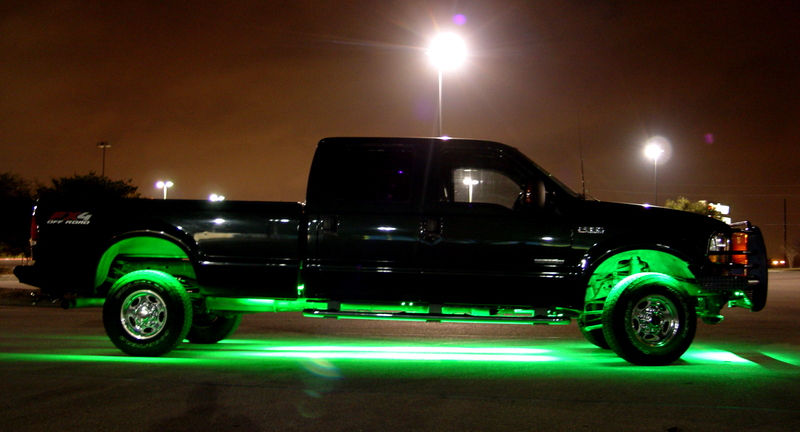 Some states prohibit underglow on public roads. Added lighting can be added to the cabin of your vehicle as well. Replace the existing bulbs in your vehicle with brighter LED’s for better visibility inside or out. Choose a crisp white, or have fun with our color selection. Talk to the Doc about what we can do for you. For more information call the Doc at 608-221-9292.